There’s been a long running conversation in the games industry, along with their audience, on the need for better diversity and inclusion. The problem seems to be getting beyond doing the most basic things to improve the diversity of characters and the level of inclusion in games. This is true for both video games and tabletop, the latter seeming to lag behind video games in their work to diversify. It’s not that the industry doesn’t want to do this, or that consumers don’t want it; despite what a vocal minority would have you believe. However, it seems that we’re stuck in a cycle of 101 level discussion, where we have to convince people that diversity and inclusion is important when it comes to convincing those that can affect change within the industry. There is a place beyond the introductory level, diversity is important discussion that many are failing to land on. That’s the first, and hardest step for so many. I’ve done some talks at game studios, and there’s always the same basic questions asked. “How do we do this without failing? What if people get angry at us for trying and failing, why should we even try?” Also, my least favorite inquiry when it comes to diversifying games; “Why can’t I use stereotypes? (also known as, why are they bad?) Why can’t we keep using them to prove a point?” I put those all in quotes because I have been asked those questions, either in person during a Q&A session, or online by people who just wanted to “ask a question” of me. The answer to how do you do diversity and inclusion better is both simple and complicated. Lots of factors need to be considered in how a studio can do inclusion better, to not rely on tired stereotypes and tropes for what they think is good representation. It’s simple in that having fully realized characters that are not white, presumed straight, cisgendered protagonists should be a thing that developers can do, yet here we are in 2017, with only two games from big studios giving us black leads. One indie title gave us two black women leads as well, but from the way some people act, you’d think that suddenly games were overrun with non-white dude leads. The positive reactions to Mafia III and Watch Dogs 2 should be an indication that gamers want different stories, they want more than the same scruffy dudes who get the girl and save the world or universe. So we know it’s possible to get beyond the 101 level of discourse if a studio really wants to do the work. How you might still be asking? Let’s go over how this can be achieved. Note: these steps are designed to be guides, not a definitive how to fix your organization’s diversity and inclusion problems in a neat package. All steps that follow require work and a commitment to bettering your games and studio environment. How you might be wondering? Well, first off is being intentional in your recruitment. Be explicit in telling potential team members that everyone is welcome at your organization. That homophobia, transphobia, racism, sexism, other ism’s and -phobic behaviors will not be tolerated. Be very clear in job postings that all are welcome and wanted. This will help people who have concerns about environment and fit while job seeking. If these things are not explicit in a posting, or in how you present your studio as a place to work, some place that team members will spend a lot of time with and feel comfortable with; then you may not get people applying. That’s one thing that feeds the misconception that people of color are hard to find in the industry. There are plenty, but too often they don’t get a foot in the door because of “how it is” or by those in hiring positions not looking beyond a name on a resume and making assumptions. Another way to help during a round of hiring is to do a “blind review” of resumes. Scrub as much identifying data off as possible during initial reviews of resumes. This should reduce unconscious bias that is prevalent in hiring decisions. This is not as easy to do when it’s time to promote from within, since you already know a person, their work habits, a lot of things about them that may preclude them from a search when a management or leadership role is available. This is where those in a position to hire from internal applicants need to consider everyone, not just the white guy who’s been there forever. Longevity at a company does not mean someone can be put into a leadership position. There’s also the issue of not having different points of view and experiences in your managers and leaders. That lack contributes to the failure to diversify content. Speaking of failure to diversify, another step the industry must take is to listen to feedback from your players. You will fail, that’s without a doubt. You will fail once and hopefully learn from it rather than withdrawing, saying you tried, look at what happened and you’re never doing that again. That’s not a way to effect change, that’s a way to give up after one failure and use it as an excuse to never do so again. What studios can do is listen to constructive feedback, which is hard. Your game is something you’ve poured your heart into and no one likes getting told their kid isn’t the best, brightest, and funniest. It’s hard to hear that you missed the mark on your attempt at inclusion. Instead of throwing your hands up, listen to fans who want you to do better, to try again, to get it right. What kind of feedback is that you might ask? It’s things like, Your character X says and does things that are harmful to [POC/LGBTQIA/Non-Binary/Neuro-Divergent/Mentally ill/Etc] people who play [GAME title]. Can you not do this? Or perhaps, This character is transgender, yet voiced by a cisgender voice actor, can you see how this isn’t full representation? These are just a couple examples that I’ve seen from fans and friends asking for better representation. Developers, listen to those who want your games better, not the threats, harassment, and vitriol from the unfortunately vocal minority who often drown out the rest of us. 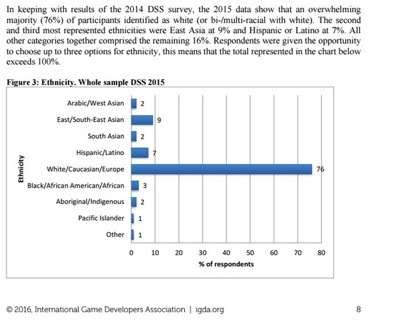 A way to get ahead of the curve is to look for, hire, and possibly retain diversity consultants from the start of your games development process. The time to look for a diversity consultant isn’t when you’re all done writing, coding, and creating art assets. The time to do that is from the concept stage. The biggest question I get in response to this is how do I find folks who do this work? There’s a thing called Google, or better yet, if you’re in the industry, asking your peers is a great way to find out who they’ve used in the past for projects. You can also ask publicly on Twitter or if you’re in a Facebook group for professionals. A caveat on asking anyone to do diversity consulting; do not ask them to do this for free. Once you have found someone to possibly work with, ask what their rates are, be upfront about your needs. Otherwise you’ll be marked as someone who wants a lot of labor for exposure. Do you research, check with colleagues, and remember, be ready to pay fair value for the labor intensive work you’re going to ask someone to do. Last part about getting a diversity consultant—you have to listen and be receptive to their feedback on your project. If all you want is someone to confirm your biases, tropes, and stereotypes that you might have lurking in your script or character development, then you will be wasting their time and yours. Getting consultants, listening and implementing what they suggest will make a difference. Look at Ubisoft’s Watch Dogs 2 as an example of how a series can be turned around with a lot of work, listening, and use of consultants. The three steps above are starters, all require a lot of work and none are easy to just go out and do. If the industry is committed to doing better, these are some ways to commit to doing that. The other way they can do better is to support people of color, women, LGBTQIA, non-binary, neurodivergent, and other marginalized folks who want to make games. Help them get into the industry and most importantly stay. That could range from a commitment to help people attend the Game Developer Conference every year in San Francisco. It could mean mentorship programs aimed at being inclusive and not reaching out to the same places again and again. It means moving beyond what has always been done because no one thinks to look past that. It means listening to those affected by the games that are created from indie devs up to the triple A studios, and committing resources, time, and effort to doing better. These starter steps are given as a guide, and a tiny starter kit, but the real work is yet to come and that’s where the industry needs to step in and walk the walk, be about it instead of just talking about it. Will it help? Who knows, the year is still young. 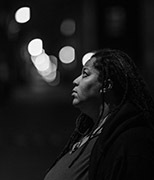 Tanya C. DePass is the founder and director of I Need Diverse Games, a not-for-profit foundation based in Chicago. She’s the Founder and EIC of @OutofTokensCast, the Diversity Liaison for GaymerX, and often speaks on issues of diversity, feminism, race, intersectionality, and other topics at conventions. She can be reached on Twitter at @cypheroftyr.